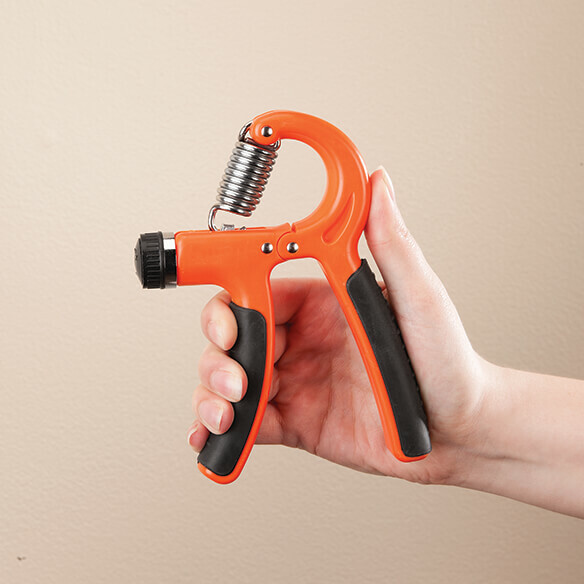 Keep hands and fingers strong and healthy with this compact Hand Grip Strengthener. Spring-tension grip strengthener is perfect for strengthening, recovering and preventing injury. Ideal for anyone suffering from arthritis, carpal tunnel syndrome, tendonitis and more. Exercise your hands 6 ways: hand squeeze, reverse hand squeeze, thumb and fingertip, ring and pray finger, thumb and index finger, or thumb, pointer and little finger. This piece of hand exercise equipment is perfect for strengthening hands and relieving stress at home or on the go. Color may vary. To help a friend who is having issues with the hands grip.